With the holiday season upon us, I truly should put the paints away and get cards and presents ready for delivery. But one more I said to self, just one more to make it an even 50 paintings completed this year. That was last Thursday. There are no work-in-progress images only this one that was taken as the painting came to rest. Forgive me if you have already seen this painting in progress, along with 8, 965 others last time I checked the post on Google plus alone. It has now had two small edits, wee clean-up adjustments and will get its final photograph soon. But it seemed to be asking to be my Monday morning blessings image for mid December 2013 and so here we are. Why a tall tale of such a simple autumn painting, you might ask? It is because the combination of fog and memory keep it from a cleaner truth. These are my childhood trees – popular trees growing on the riverbank. They are my first subject of paintings. I cannot pick up a brush to render them without being transported back through time with its many stops before these trees. These are trees I met before there was even a field in front of them. These are trees I introduced my first lover and later others. Then much later my now husband. These are trees I walked beside while I carried my babies and then with them while they carried theirs. These are the trees that my mother and father have walked with me since they were younger than I am today. Painting the spaces of light and shadow in between is filled with the residue of many visits. It is a tall tale that gets taller with each telling. All I intended to do was to use up the paint leftover on the palette. This time of year is family time and I suppose in my case tree time. Which brings me to another tall tale and that is a strange happening last Friday on December 13th. I happen to notice that the Creative Potager blog views were going a bit crazy. So I looked and it was this post “Emily Carr Mystery Solved” from November 9, 2010 more than THREE years ago! What could it be I wondered? Well after a couple of hours and views were still piling up from Canada I did bit of sleuthing. 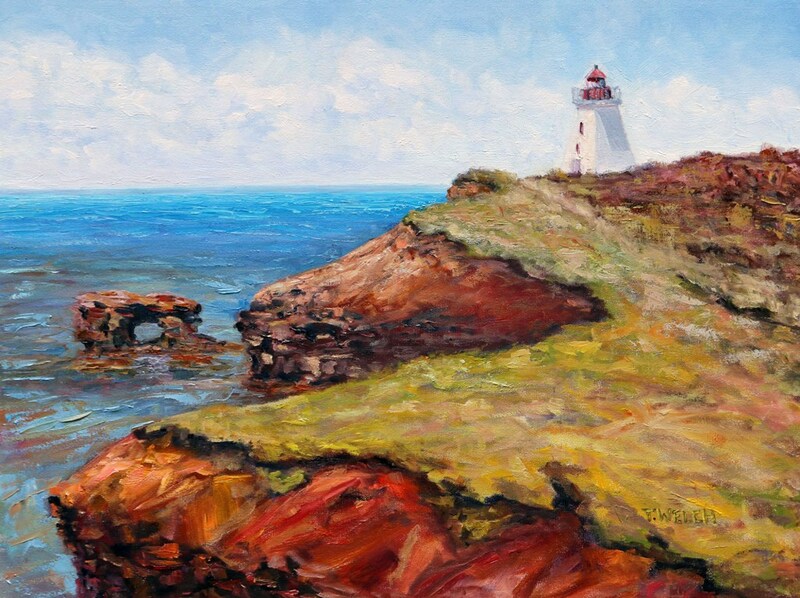 It was Google.ca who was celebrating the Canadian landscape painter with a doodle on their home page. What you might ask would this have to do with my very old stale dated blog post? It had to do with what came up when a person clicked on that doodle. The image and search results included this blog post right near the top, not at the very top but near enough to entice the curious. So belated 142 happy birthday Emily Carr, another painter of trees. For those in Vancouver, British Columbia over the holidays an exhibition of more than 40 forest paintings by Emily Carr will open at the Vancouver Art Gallery on Dec. 21, 2013. Emily Carr: Deep Forest will run until March 9, 2014. 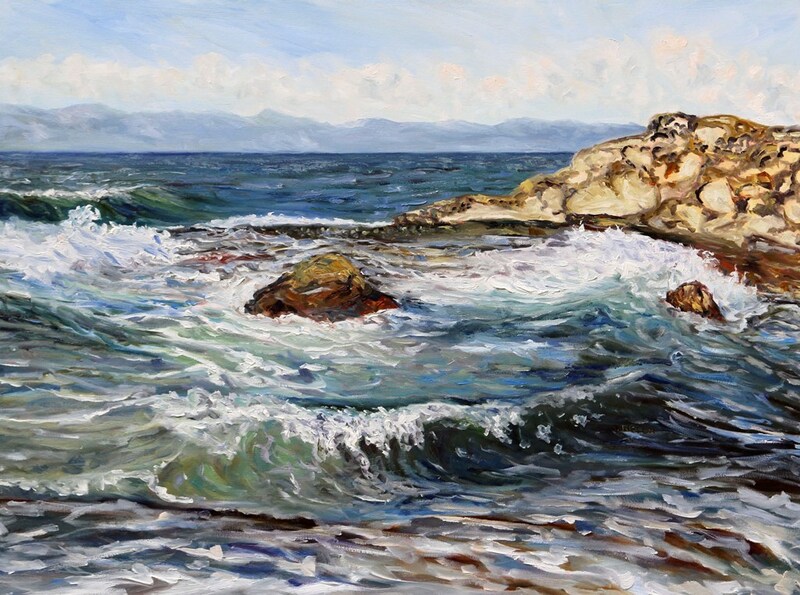 The show spotlights works created by Carr in the 1930s, most of them depicting scenes within 25 kilometres of her Victoria home. The paintings in the show are almost all drawn from the Vancouver gallery’s permanent collection. The gallery is home to the most significant collection of Carr’s work in the world, comprising 254 paintings, drawings and other works. So there we have it two tall tales and a blessing of trees all round! What tree or trees might you offer a blessing on this fine winter Monday? 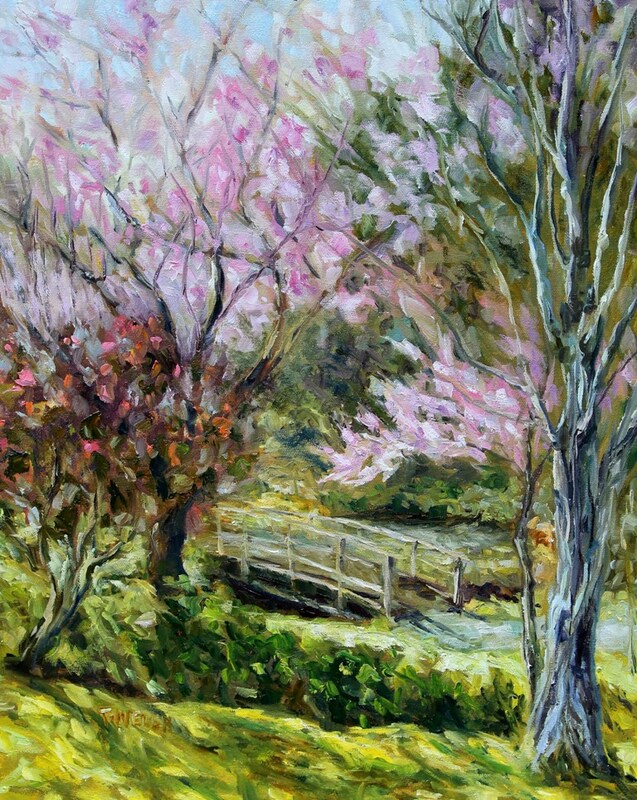 Your words and beautiful painting bring to mind a special family of trees, Terrill. Thank you for conjuring the memories. You are most welcome Leanne and thank you for dropping in. What great memories! 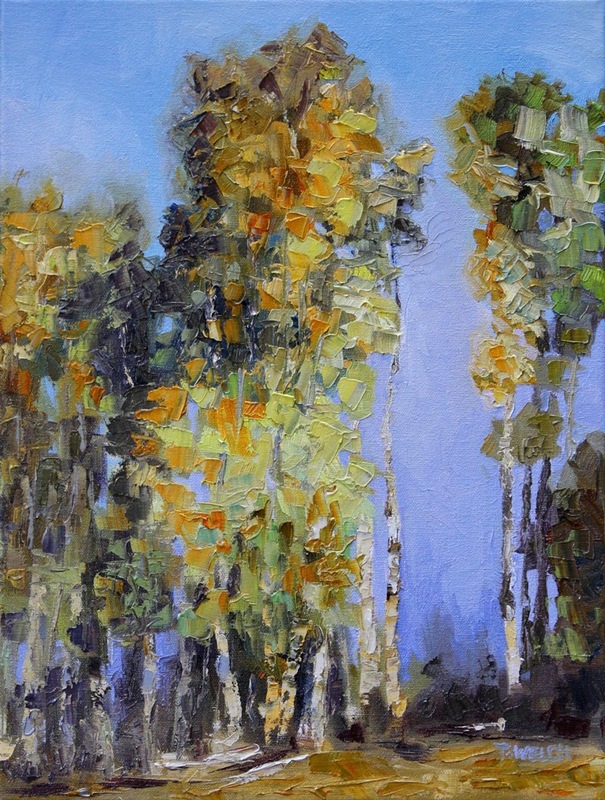 You painting brings to mind a double row of poplars here in Metchosin that line one of the streets. And wouldn’t you know, when I looked up an image of them I found this site about Emily Carr! http://emilycarrconnections.com/pages/victoria_sidney_sooke_map_pages/page45.htm Guess she painted them. My favorite trees here are the arbutus, as you know, and I can’t help but photograph and wax poetic about them, as I did in these posts! http://chiaink.wordpress.com/2013/10/10/tuesday-tales-when-trees-talk/ http://chiaink.wordpress.com/2013/10/11/photo-fridays-the-artful-arbutus/ Cheers on this beautiful sunny day! I do know exactly the double row of trees you speak of Chiarina. In fact, I drove down this very road a few weeks ago. However, I didn’t know that Emily Carr had sketched or painted them. 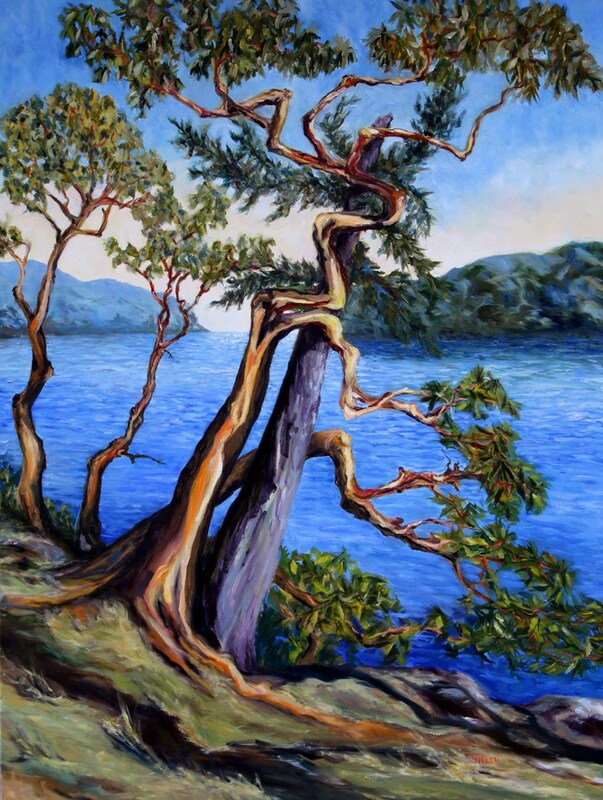 I too love the arbutus tree and thank you so much for Sharing your links. We have no sun yet in Vancouver this morning which is where I find myself but I shall be hoping it swings over this way and drops in for the afternoon. Oh, I wish I had know you were here. My studio is just a couple of blocks away from Lombard. Hope that sun finds its way across the pond for you! 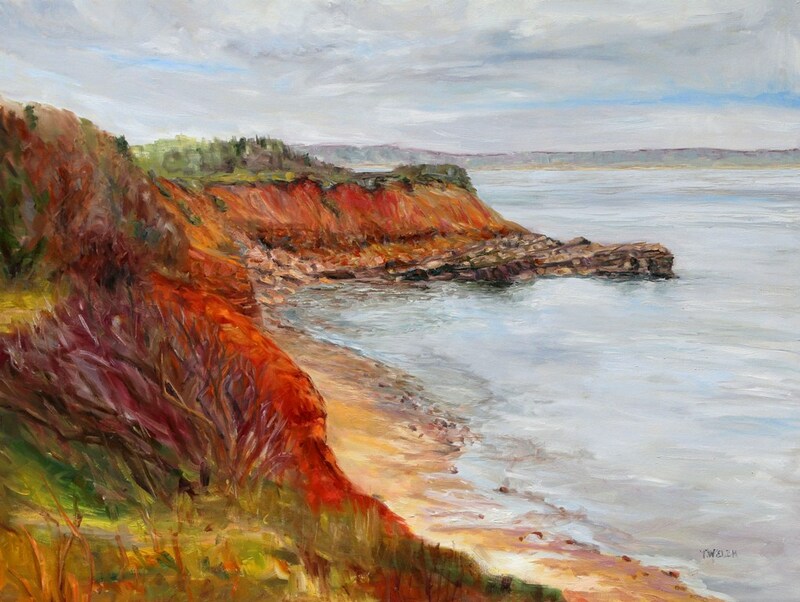 Next time I am in the area I shall try and set something up ahead of time so that I can do a studio visit Chiarina. This last visit happened rather spontaneously. Another breathtaking tapestry Terrill. Well, I’ll pose to offer a blessing to all those beautiful Douglas firs that are grown in your neck of the woods, and are brought in to living rooms across America at Christmas time. The Emily Carr exhibitions sounds fabulous. 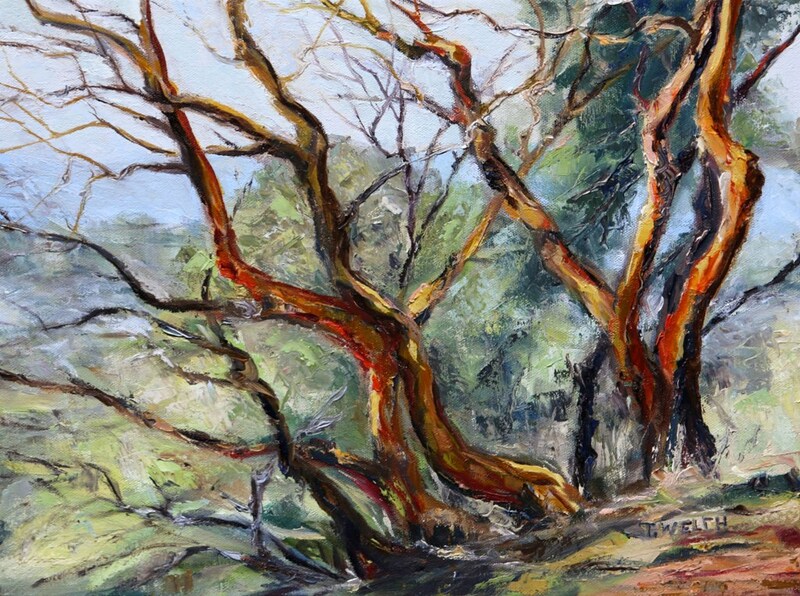 Terrill – I love the background story you shared about the trees in this captivating painting. You’re already aware that trees are my favorite living creatures on this planet. So when you ask, “What free or trees might you offer a blessing on this fine winter Monday?” I’ll share that right now from where I sit — through the window — I see my Oak Friend who’s at least 200 years old (quite possibly more). Her name is Tauriel (like in The Hobbit, but not for that reason). If Len and I had had a girl, that would have been her name. It means, “Daughter of the Forest.” So Monday blessings to Tauriel today. Oh I do like this story Laurie and blessings to Tauriel! Did you know that this is how some people say my name? This happens most often if they only see it written. These are tall tales about trees and Google. ca and I enjoyed them both along with hearing the story of your trees and your history of these trees. I love the smell of my wreath and tree, in the house, right now! What an amazing greeting. I can almost smell your wreath from here Patricia and it sounds like it is time to make another visit over to your blog and a look. What a beautiful post–both words and painting! I need to focus on my card and gifts, as well. Instead, I’m reading blogs. Yikes! Maybe reading the blogs will make the card writing go that much easier Kathy – at least we can hope. I will sit down and do mine on Wednesday knowing they will be late but should arrive before the New Year. Your poplars are beautiful. Thanks for celebrating the ordinary and makeing it extra-ordinary. What a wonderful use of leftover paint. 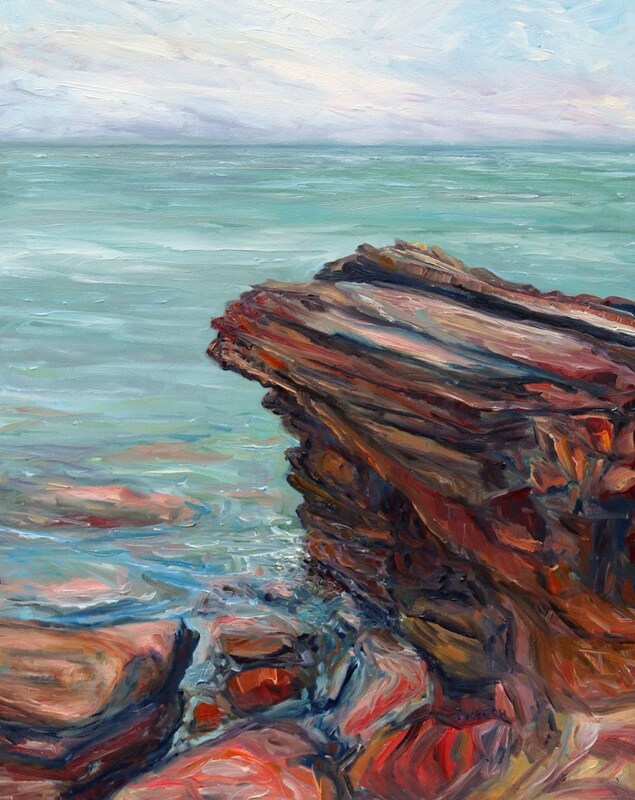 Glad you think so Annerose – I am happy with it, more so after leaving it sit for a few days. Fifty paintings in a year! That is a blessing, indeed, Terrill. Wishing you the happiest of Holy-days. May 2014 bring you much more rich depth of seeing and sharing. Oh it is not really all that many for a full-time artist Kathy. Many of my fellow painters will do over one hundred. Most are not also photographers though. This combination of expression keeps my paintings numbers down a little. Thank you for the wishes and I offer the same to you Kathy. All the best!